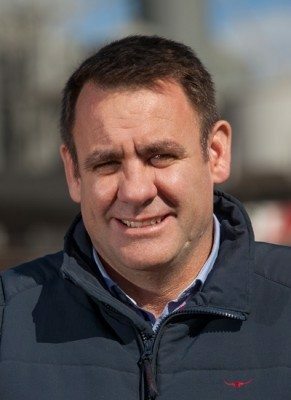 AUSTRALIA’S red meat industry can become carbon neutral by 2030, Meat & Livestock Australia managing director Richard Norton told the company’s annual general meeting in Alice Springs this afternoon. To this end, Mr Norton announced that MLA had initiated a project with CSIRO (details below) to identify pathways for the red meat industry, farm and processing sector included, to become carbon neutral. The project has identified a series of innovation and farm management options including the expanded use of legumes and dung beetles in pastures, savannah fire management in northern Australia, feed supplements, lotfeeding and vegetation management. Genetic selection and a potential vaccine to reduce methane production in the rumen were other opportunities, he said. “There are clear market signals in our high value international markets that emissions from livestock production are an issue for consumers who are also increasingly interested in the provenance of their food,” he said. 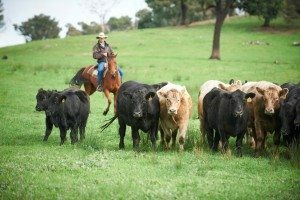 “The red meat industry has already reduced its share of Australia’s total emissions from 20 percent of Australia’s 600 million tonnes total emissions in 2005 to just 13pc in 2015, while also helping to reduce Australia’s overall emissions to 525 million tonnes over the same period,” Mr Norton said. The final report will be published next month. Watch this space, it won’t be consumers and retailers who pay for this pathway. They haven’t ever picked up the cost of their “demands” and that I believe will not change in any real way. More costs to be sheeted back to producers and because they are already in front, that is where the fat is seen to be. Carbon capture in production systems goes down the gurgler every drought when soil carbon building materials are in very short supply. The time to regenerate is longer than the interval between droughts and the carbon take off via animals/ produce is always there in the better seasons. Carbon Offsets only work in improving soil carbon in the areas where the offset environment is located and often involve growing trees to tie up atmospheric carbon, not really improve soil carbon. People conveniently forget the impact that trees have on water permeability and the availability of runoff. Treed environments reduce water availability in ecosystems. Environmental soil carbon improvement in the production area may never significantly change for the better but everyone runs around saying that they are operating sustainably. It’s like a business that makes a loss in one area but remains in balance overall because the value of an asset in another area rises and offsets the loss. At the end of the day the business is still unsuccessful and the assett is still physically exactly as it was before, but is mystically worth a lot more and saves the day. All forms of accounting systems for money have the capacity to make a story the way you want to tell it. I fear the same is inherent in carbon accounting systems as well. The only way to honestly improve carbon capture in soil based production systems is to do it at the site of production. Offsets are smoke and mirrors, give a warm fuzzy feeling that can be used to market an idea that may in fact have little substance in terms of real outcomes for the environment where animals are living. One wild fire in an offset tree plantation releases years of carbon capture back into the system and wipes out that carbon credit as an asset. When it disappears honest management of the use of this offset would require all of those who have been utilising the pathway to return the monetary benefit they have generated because the basis upon which that money has been claimed is no longer able to be substantiated and the so called sustainability of the arrangement is lost. In fact it becomes an additional carbon footprint increase which should attract financial penalty for the offset arrangement parties. However it seems to be a way to make a few bob out of thin air. Closing the loop on methane – with methane oxidising soil bacteria. Work done in Florida on landfill methane indicates we may be missing a very big piece of this methane story – Nature does not do “waste”. I asked the lead scientist on the Florida research this question – Is it possible that by changing grazing management we can improve conditions below ground and boost numbers of these “methane eating” bacteria enough to not just make the whole system methane neutral, but maybe even a net GHG sink rather than a source? We need to conduct some serious research on this aspect of the methane cycle. The Producers are already in front when it comes to Greenhouse and Carbon in Soil issue and are therefore positive for carbon footprint … so maybe the solution might be for the down-stream players to buy carbon credits from their customers; either directly, or in a market-place … everyone wins.